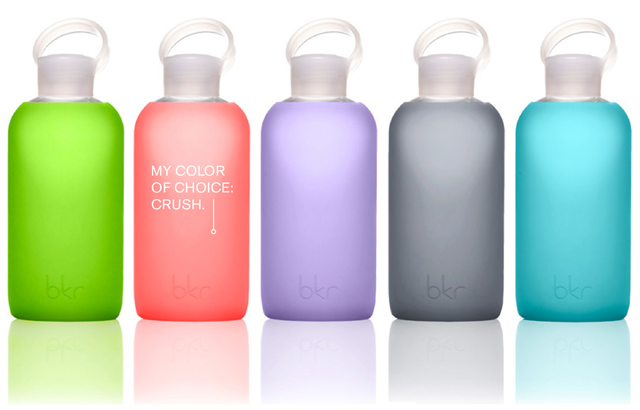 I recently discovered bkr bottles—sleek glass water bottles with a silicone sleeve—designed to be "a statement against the disposable world" and to help us "give up our plastic habits." I have to say, in the week I've had mine, I've definitely grown attached. It now comes with me to and from work and I do believe the claim that water just tastes better in a glass bottle. Learn more and view their beautiful marketing graphics here. Image courtesy of www.mybkr.com.